Every March the new releases from Montalcino are unveiled. The rules stipulate that Brunello must be aged at the estate for 5 years and for the Riservas it is 7 years before hitting the market. 2019 therefore marks the release of the 2014 Brunellos and the Riservas from 2013. Two very different vintages, but both well worth the attention of wine-lovers, if you tread carefully! 2014 was undoubtedly a tricky vintage throughout Tuscany. A warm, damp spring turned into a cool, wet summer with a brief window at the end of September allowing growers about 3 weeks to harvest without interruption before the rain-clouds rolled in once again. It is in years like this when estates are really pushed to the limit – that the calibre of the wine-making and the greatness of the terroir really become clear. It is only the best producers who triumph when the going gets tough. 2014 certainly sorted out the men from the boys. With this in mind, it was a great relief to find such quality and pleasure in the 2014 releases from Roberto Fuligni and Marcello Bucci of Collemattoni. Both worked tirelessly in the vineyards throughout the season and culled all but their best fruit. These are wines for ‘almost’ immediate enjoyment. Lithe, fresh and pretty Brunellos with real vim and finesse that is so very drinkable. You will be delighted to find these in your wine rack over the next 3 or 4 years, perhaps while you wait patiently for the mesmeric 2013 Riservas to hit their stride. With 93 points from James Suckling, Fuligni’s 2014 is a seriously smart wine. Many dream of a score like this – even in a more straightforward year. Its grace and fine lines have all the hallmarks of this famous estate – and what the vintage perhaps lacks in terms of ‘stuffing’ is made up for with a delicate intensity and fabulous balance. Collemattoni have also done really well in 2014. Their vineyards are in the sunny, warmer enclave of Sant’Angelo in Colle, facing south-west. Interestingly, in cooler vintages they are less affected than many others by the poor weather – as its always a shade warmer here. The results are impressive, not as rich or broad as in some years, of course, but it is the energy of this lithe, brighter juice which is so hard to resist already. 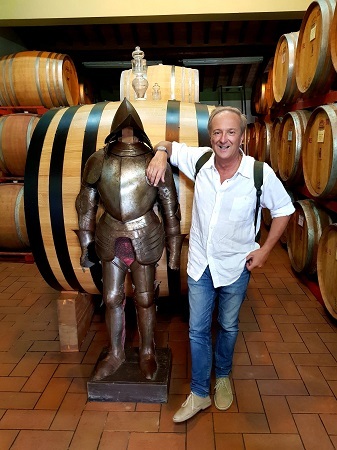 2013 Riserva – That’s more like it! 2013 is an entirely different year. Much easier to navigate and simpler to understand. The conditions were good. More classically warm and dry – and therefore easier going for the winemakers. For most, everything fell into place. Protecting the grapes from too much sunshine was the only challenge and picking at the right moment was key. But as ever, the elite producers excelled and their 2013 Riservas are seriously good. Classic wines for the long term. Roberto Fuligni totally nailed it. His 2013 Riserva is a text book example of what wine-lovers seek out in the finest Brunellos. There is a gentle power, a sense of controlled energy here and the delicious high-toned fruit, still densely packed for now, shows great promise for the future. Like the man himself the wine has a tell-tale sophistication. A refined feel and a restrained finesse that comes from these great vineyards. This is particularly clear here at Fuligni in the warmer years and this Riserva is simply excellent. Marcello at Collematoni has also released a superb Riserva this year. With a plumper, richer feel the drive and power is exciting. There is lots to love here. The palate is loaded up front with classic dark cherry essence and a deep plum flesh, seasoned with green herbs and then a savoury line comes in – all driven on beautifully by the ‘just there’ line of fresh acidity. Keeps it flowing brilliantly and suggests a good long future. These superb wines are released now on a pre-shipment basis, click the button below to browse the offer. I’m very much looking forward to trying these wines.